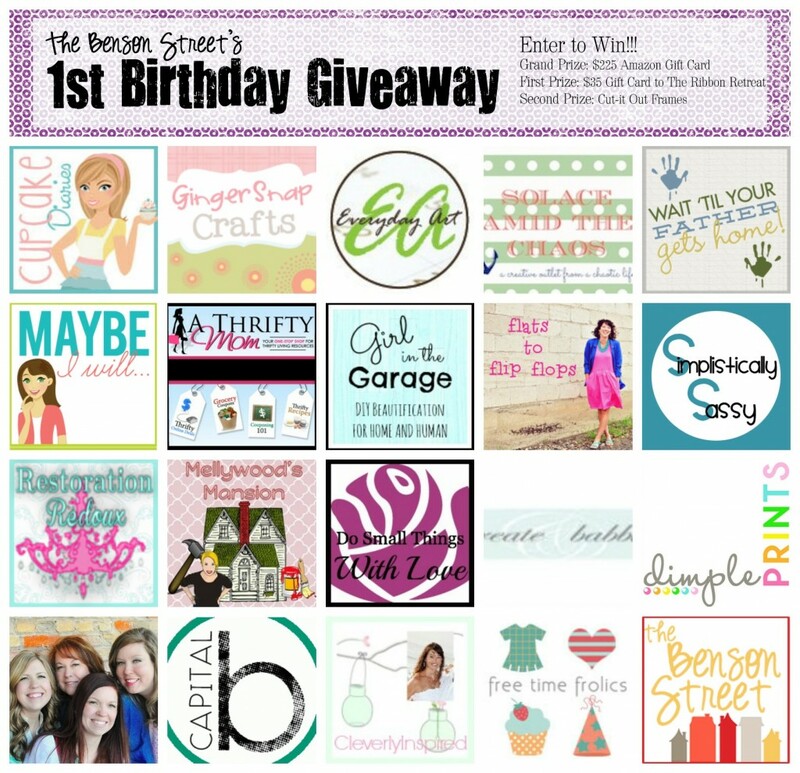 The Benson Street is celebrating its 1st Blog Birthday! I am so excited to share in a celebration with lots of great prizes! This is huge!!! The grand prize is a $225 gift card to Amazon! This would be perfect for back to school shopping or even to save for Christmas! The First Prize is a $35 Ribbon Retreat gift card. If you haven't check them out they have the best selection of ribbon and fabric. Lots of cute stuff and it is all online. For the second prize is frames from Cut It Out. Along with these sponsors there are a ton of AMAZING bloggers participating. Check them out for real. You will love them I'm sure! Let's Get to know them. You can find all the fabulous bloggers here! Stop by and give them a little love and don't forget to enter to win these super awesome prizes!